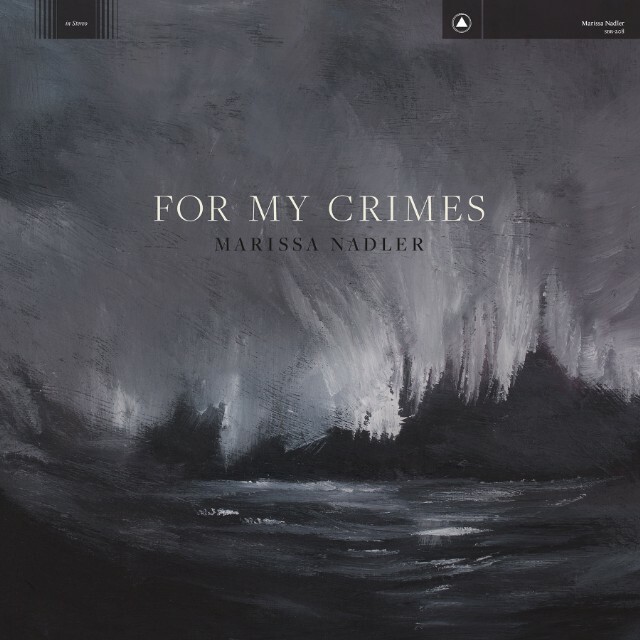 After releasing a cover of “Where Do I Go” by prolific but relatively obscure songwriter Happy Rhodes, Marissa Nadler has returned in earnest with a terrifying new ballad. The full album, For My Crimes, seems like it will explore a relationship falling apart–the press release states that “Love may not be enough to keep two people together through distance and differing needs.” “For My Crimes” views that kind of relationship dissolution through the lens of someone on death row. We don’t know what this person did, or how they got there, which only makes things feel more gothic. It can be frustrating to want more details, but that’s part of the point. Nadler’s producer Randall Dunn more commonly works with bands that aren’t as bunkered down as hers (like Sunn O)), Algiers, and Iceage), but they’ve made two albums together regardless. July was closer to the sound of “For My Crimes,” but 2016’s follow-up Strangers added drums and distorted drones to the mix. Songs like that album’s “Janie in Love” even ventured towards Lana Del Rey territory, though not quite to the extent where Nadler would start collaborating with the Weeknd. Despite the collaborators on this new project, that definitely wouldn’t happen now. Everything is stripped away but Nadler, her guitar, Janel Lappel’s melodramatic, lightly saturated strings, and Angel Olsen’s faint background vocals. Surprisingly, the producers here are Justin Raisen and Lawrence Rothman–while Rothman’s credit makes sense (they released their own collaboration-heavy album last year, The Book of Law), Raisen’s credits include much more extroverted records like Sky Ferreira’s Night Time, My Time, Charli XCX’s Sucker, and most recently Angel Olsen’s My Woman. Just as Dunn’s experience with drone metal and post-punk added to the intensity of Nadler’s music, Raisen takes the drums and drones away from Nadler’s sound but ensures that production feels every bit as huge. While “For My Crimes” doesn’t exactly capture the emotional chaos of sitting on death row for fifteen years, it does capture how the dregs of relationship could feel as much. Without metaphor, it’s an intimate request, a person simply asking to be remembered for their good qualities and not their bad ones. (It’s not a new concept–Linkin Park covered that same territory eleven years ago.) Still, using the existential terror of death row as a framing device make the lyrics, and the song itself, all the more chilling.